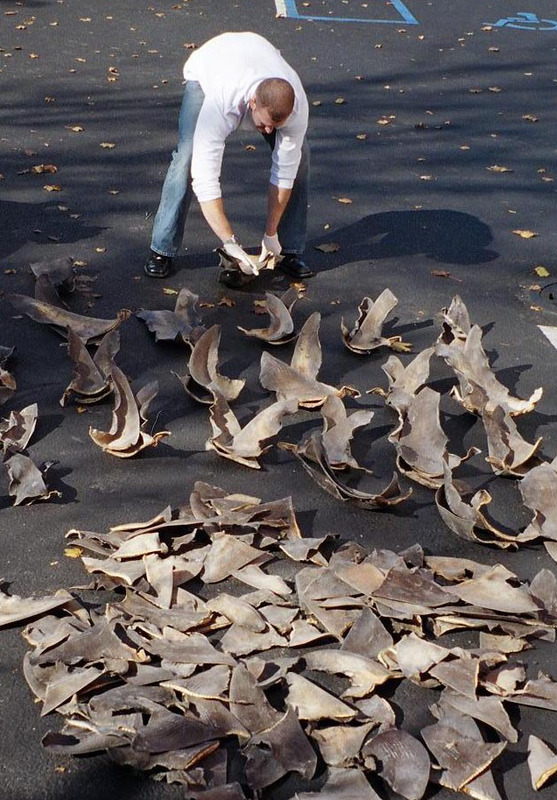 Until last week, it was legal to buy and sell shark fins in California. The crazy thing is; obtaining them from the shark was not, and it hasn’t been for many years. So, you couldn’t catch sharks and cut their fins off, but you could buy the fins, and that’s just what a lot of restaurants and seafood markets were doing. Shark finning is a lucrative business around the world because of the popularity of shark fin soup, especially in China and other parts of Asia. The practice involves catching a shark, cutting its fins off and dumping the animal back in the water–alive. Cruel and inhumane, finning is also decimating populations of certain shark species. Some have been reduced by nearly 90%. In 2011, California passed a law that made buying, selling and possessing shark fins illegal, but a lawsuit claimed it was unconstitutional because it discriminated against the large Asian population in places like San Francisco that enjoys shark fin soup as part of their cultural tradition . Last week, a California court ruled in favor of the law, shutting down the shark fin trade in that state. Shark fin soup is now off the menu. . . at least in California.